Why Buy LINKYO Remanufactured Epson Ink Cartridges? If you’re on the market to buy a remanufactured Epson ink cartridge, you should know that there are two types of such cartridges on the market, one based on a new chip and the other based on a reset chip. What’s the difference? A compatible cartridge’s chip uses a “page counter” to calculate the amount of ink is inside the cartridge; this method is inaccurate because it estimates the amount of ink based on the number of pages it has printed on. Each page, regardless of how much ink is actually used, is based on a pre-programmed estimate. Let’s illustrate this problem using Epson’s compatible 127 ink cartridges and the image above. The Epson compatible 127 cartridge has a calculated yield of 755 pgs. A printer will be equipped with colors black, cyan, magenta, and yellow. Magenta would be the primary color to print the image above. If you were to print out 377 pages of that image (half the 127 cartridge’s total yield), you’d have a printer reading the compatible magenta cartridge as being half-empty. The problem here is that the chips in the three other colors–black, cyan, and yellow–would also run as half-empty. Any color print, no matter what color is really being used, triggers the page counter in all the color cartridges. In the worst-case scenario, you could end up having an ink cartridge read as “empty” when it could actually be almost full. All these printers can use a single model of ink cartridge, the Epson 127. The cartridges are available in four standard colors: black, cyan, magenta, and yellow. Cyan, magenta, and yellow have official yields of 755 pages. (Black has a higher yield than the rest.) Print 377 pages and, in theory, your cartridge is half-empty. 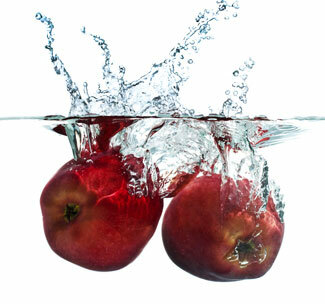 Let’s use an example with the above image showing of the two apples falling into water. Magenta is the primary color being used for this image. Print 377 pages of this image and your magenta ink cartridge will read as halfway-empty. You’re barely using the three other colors. Here’s where the problem of compatible ink cartridges creeps in. Even though magenta is the color being most affected, cyan and yellow would also read as being half-empty. (Black would read as being less empty because of its higher yield.) The “page counter” in each ink cartridge calculates based on a page used, no matter how much ink was really used in the process. In the worst-case scenario, you’d have an ink cartridge reading as empty when it could actually be almost full. You could have the reverse happen, as well: A cartridge could read as almost full when it’s really almost empty. This happens because a print could use up more color than is considered standard. Each of LINKYO’s remanufactured ink cartridges uses a reset chip from the Original Equipment Manufacturer (OEM). This reset chip guides the cartridge’s sensor to make an accurate reading on how much ink is available. 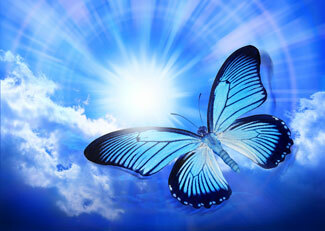 Using this system, printing the above butterfly image would only affect the readings of the cyan and black ink cartridges because those are the two being used. Had it been using the prior “compatible” model, all color readings–including magenta and yellow–would be lower, even though some colors weren’t even used. LINKYO remanufactured process involves cleaning and repairing the OEM ink cartridge’s circuit board, then resetting the cartridge’s chip in order to restore functionality and maintain quality. It is often the case that companies that repurpose cartridges avoid doing this because of the added labor and cost. LINKYO, however, prides itself as an aftermarket leader, which is why it insures that its remanufactured cartridges are up to spec and in proper working order.